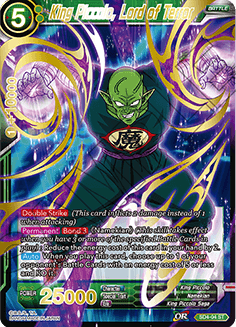 This deck is packed with cards featuring the new keyword [Bond]. 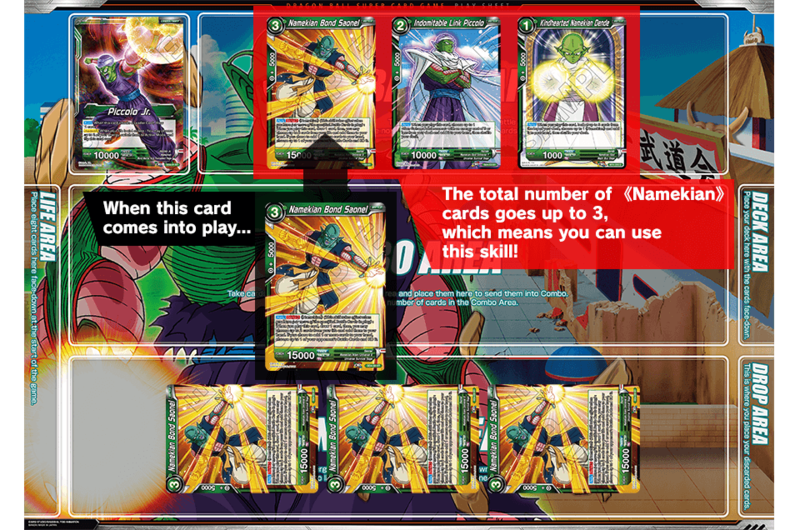 Use the power of Namekian teamwork to overwhelm your opponent! 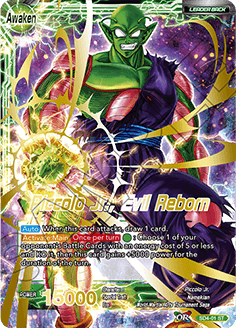 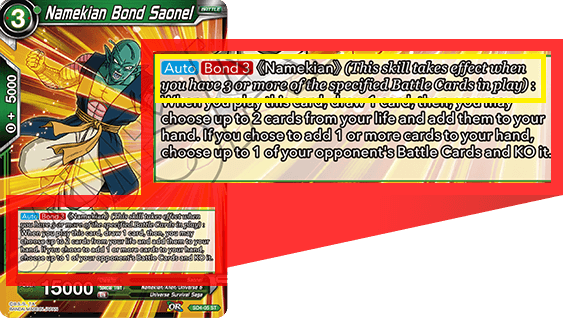 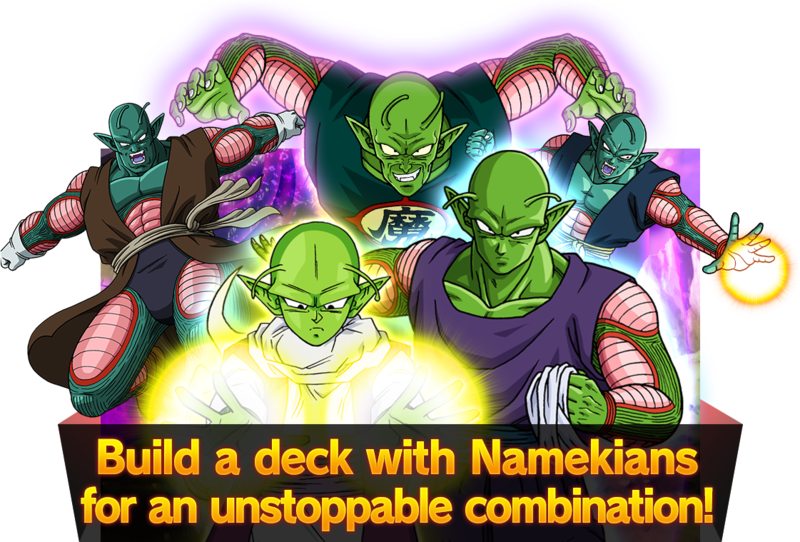 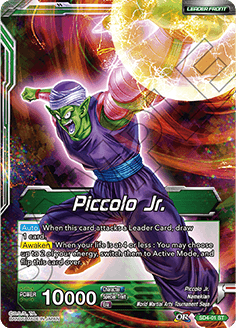 This skill counts Saonel as one of the 《Namekian》 cards on the table, so you only need two 《Namekian》 cards on the table before you play him. 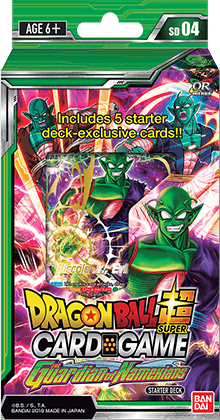 Check out the card list for other high-synergy green cards!